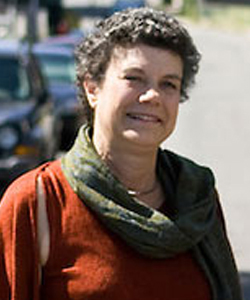 Anna Hardman has taught at Tufts University since 1995. Her research focuses on urban economics (regulation and the informal sector in housing markets in developing countries, the development and provision of services in peri-urban areas, and neighborhood income distribution) and on migration (remittances and the impact of immigration on housing markets in migrants' home and host communities). She has published articles in the Journal of Housing Economics, The Scandinavian Journal of Economics, and Regional Science and Urban Economics, and is co-author of a book on labor migration in Europe and the U.S. As co-chair of the Inter-University Committee on International Migration of the MIT Center for International Studies, she is currently organizing a workshop at MIT on the economics of forced migration. From 1999 to 2004 she was visiting lecturer in economic development planning in the Department of Urban Studies and Planning at the Massachusetts Institute of Technology. She has worked as a consultant to international organizations including USAID, the OECD, and the World Bank. Before coming to Tufts, she served as assistant professor of urban studies and economics at Virginia Polytechnic Institute and State University. International migration in cities; migrant housing and immigrant neighborhoods in migrant host and migrant sending countries; remittances, investment and return migration to migrant source countries; economics of forced migration. Housing demand and supply: formal and informal markets and public policy in the housing sectors of both developed and developing countries. Housing indicators as policy tools. Urban infrastructure provision and finance: water supply, sanitation and the urban environment in third world urban and peri-urban areas. Project analysis and evaluation. and Steven Durlauf. 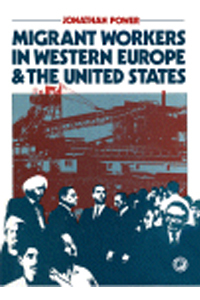 “Immigration and the City,” chapter in Steven Durlauf and Laurence Blume (eds. ), The New Palgrave Dictionary of Economics, 2nd edition, Palgrave Macmillan, 2008.
and Yannis M. Ioannides. “Neighbors’ Income Distribution: Economic Segregation and Mixing in US Urban Neighborhoods,” Journal of Housing Economics, 13, 4, 368-382, 2004.
and Yannis M. Ioannides. “Residential Mobility and the Housing Market in a Two-sector Neoclassical Growth Model,” Scandinavian Journal of Economics, 101, 161-181, 1999.
and Yannis M. Ioannides. “Moving Behavior and the Housing Market,” Regional Science and Urban Economics, Vol. 25, 1, 21-41, 1995.